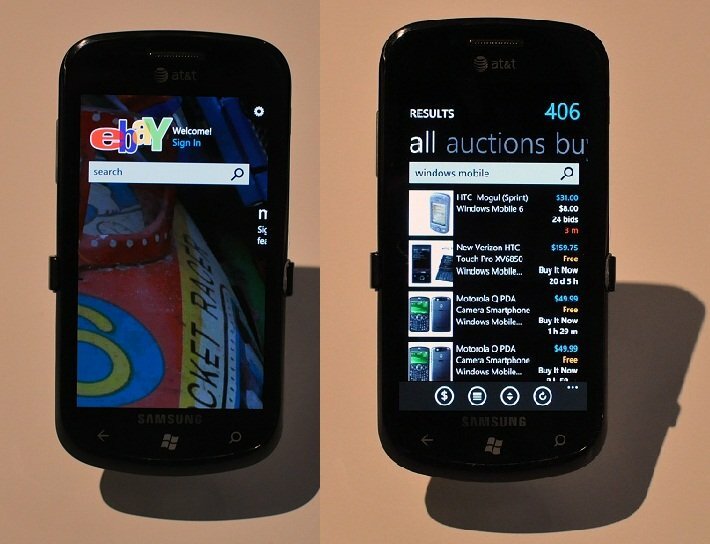 Ebay has announced the availability of it's first Windows Phone 7 application. The Ebay App will allow you to bid, buy and check Ebay buying and selling activity from your Windows Phone 7. The app supports push notification to provide real-time alerts. The Ebay app will be a free application through the Marketplace. It's just one more example on how Windows Phone 7 will keep you in touch. Follow the break for the full press release and another screen shot. without leaving their home screen. Checkout products. For more information, visit www.paypal.com/mobile. to, consumer acceptance and use of eBay’s mobile applications.